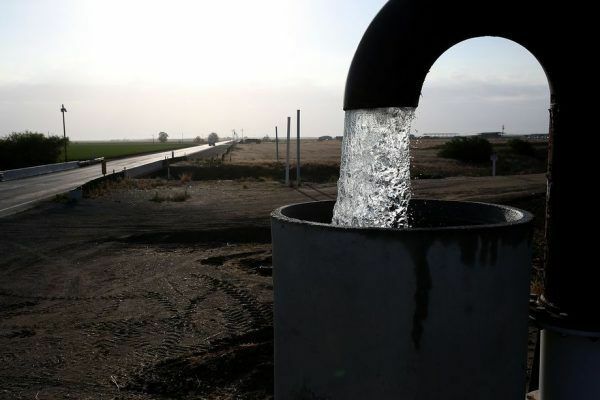 High-profile Bay Area denizens are skipping tap water in favor of drinking unfiltered, untreated, and expensive “raw” water that comes straight out of the ground, Nellie Bowles reports for The New York Times. The first time I wrote about Lupus Liberalism was in reference to over-aggressive political correctness, but this Raw Water craze is more akin to the anti-vaxer movement where the theme is ignoring science at your own peril. The general theme is still intact, though. Lupus Liberalism is any situation where you go so left that your leftness starts doing damage. I think the best (and actually the only) solution to this is to let it play out. Lots of people will embrace the movement, which will get lots of people sick. I couldn’t help but smile a little when thinking about someone in the hospital, on an IV line, and screaming when they find out there’s medicine in the medicine they’re getting. This isn’t free-range medicine? This is like, created somewhere? Science, medicine, and germ theory—as it turns out—never roamed the African plains in all their natural glory before humans showed up. We had to conjure them into being using the quite “not found in nature” techniques of the scientific method, sterilization, and other extremely artificial concepts like that. There’s actually nothing more natural than dying at 23 from a tooth infection. That should be the next craze, really, getting rid of anesthesia and anti-biotics. We’ll call it the Grin and Bear movement. So if you have a cavity that is going to kill you, you have a Quinoa salad, your kid (let’s call him Measles, since he’s not vaccinated) will hand you a twine stress ball, and the local shaman (doctors are lame) will rip the tooth from your skull using a hand-forged iron plier sanitized in Raw Water. Sometimes evolution’s pendulum over-swings when trying out new things, and all these examples (raw water, antivax, etc.) are cases in point for good ideas taken too far. Nature will punish those who take the bait.